All Categories - Bohlings - KEY BIB OVERALLS featuring KEY IMPERIAL Bib Overalls the Aristocrat of Overalls: 273.41 KEY Imperial Indigo Blue Denim Rigid Bib Overall, 273.43 KEY Imperial Rinsed Indigo Blue Denim Bib Overall, 272.42 KEY Imperial Enzyme Washed Blue Denim Bib Overall, 273.47 KEY Imperial Blue & White Stripe Bib Overall - Bohlings.com is your online source for adult KEY Bib Overalls, because Key Bibs are all we do! 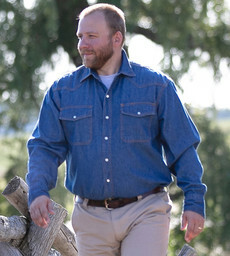 If you want the top of the line in comfort, fit, functionality and durability, then the Key Imperial is the bib overall for you! 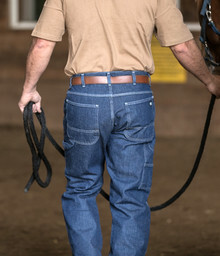 Available in Blue Denim and Hickory Stripe Denim in a variety of fabric treatments. 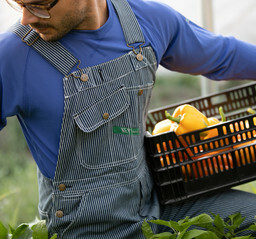 KEY IMPERIAL Classic "Green Stripe" Imperial Bib Overalls with a Zipper Fly for year-round comfort and good looks. Ring Spun and Enzyme Washed KEY Relaxed Fit Dungaree for a lived-in look. KEY IMPERIAL Rinsed Washed for a touch of added comfort, with all the same great KEY Imperial features. 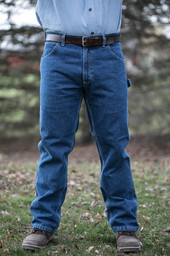 KEY 402.45 Enzyme Washed KEY Indigo Dungarees are the "already broken in" version of the traditional KEY Dungaree. 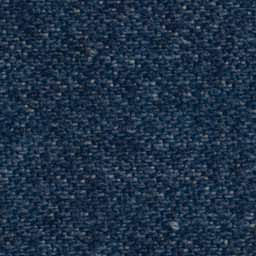 KEY IMPERIAL 272.42 Enzyme Washed - The lightest shade of Blue Denim available in a KEY Bib Overall. 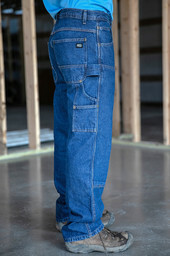 KEY Contractor Grade Double Front Dungaree, a construction pant that fits, moves, and forgives like real work jeans ought to. KEY IMPERIAL Hickory Stripe Bibs, try something a little different! Enzyme Washed for Softness and Extra Comfort, you will look Good in this KEY Western.